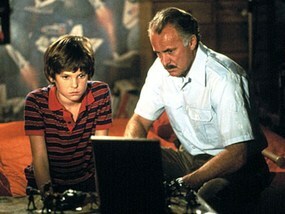 80?s month has come to an end and to finish it off proper the trio delves into a Dabney Coleman classic Cloak & Dagger. Find out what the inside of a Atari cartridge should look like, if there is life after staring in ET, and how people communicated before cell phones. Will Mr. DeMoss crack the code and expose the top secrete plans to the world? Will Mr. Wickliff find the hidden message this film was trying to portray? Will MuGumBo be able to stay awake through the full discussion? Find out these answers and many more right now by listening to the show!